The British government is to invest £146m in discovering new medicines, in a bid to help the UK become a world leader in life sciences. Earlier this year the UK said it would put £1bn over the next four years into boosting science and technology. The £146m is part of that earmarked sum and it will go to five different manufacturing centres. 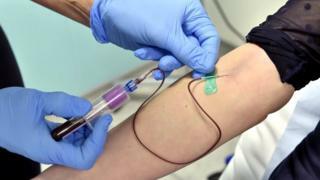 Separately, the Department of Health says it will invest £14m in 11 medical research and development centres. "The UK has always been at the forefront of scientific excellence. From the discovery of antibiotics to our world-leading 100,000 Genomes project, we have a proud history of medical breakthrough and innovation," said Health Secretary Jeremy Hunt. "I want patients to continue to be at the front of the queue for the best treatments available, whether that means early access to trials, giving staff brand new innovations and technology to work with, or being at the heart of research to share best practice quickly across the health and social care system. "A strong and growing life sciences sector ensures this, particularly as we negotiate our exit from the EU." In April, Business Secretary Greg Clark announced that the government had set up the Industrial Strategy Challenge Fund, committing more than £1bn over the next four years. Out of the £1bn sum, so far £246m has been allocated to battery technology research, under the Faraday Challenge launched in July. The £146m for life sciences announced on Wednesday by Mr Clark is the next amount of money to be allocated from the fund. Four of the centres will need to be built from scratch, while the Cell and Gene Therapy Centre in Stevenage will have its capacity doubled. Prof Sir John Bell will shortly detail the outline findings of an independent sector-led review into the UK life sciences industry at University of Birmingham. The Life Sciences Industrial Strategy contains recommendations relating to science, data, the NHS and industry growth from global companies such as AstraZeneca, Johnson and Johnson, MSD and GSK, as well as feedback from healthcare groups, charities and small businesses. The UK government will be considering the recommendations as it drafts a deal between the UK and the global life sciences sector. "The life sciences sector is of critical importance to the UK economy and UK health - with over 5,000 companies, nearly 235,000 employees and a turnover of £64bn in 2016 - and the government is committed to continuing to help this sector go from strength to strength," said Mr Clark. "The Life Sciences Industrial Strategy demonstrates the world-class expertise the UK already has in this sector and represents the industry's vision for how we can build on our world-leading reputation in this field. "We will be engaging with Sir John Bell in the coming months in an effort to work towards a sector deal that helps us seize the opportunities in this area."